Dr. Corey has been providing quality vision care for 3 years graduating from Indiana University in 2009. Dr. Corey specializes in glasses, contact lenses, treatment of ocular diseases and also enjoys helping patients attain an improved lifestyle with refractive surgery. Dr. Janis has been providing quality vision care for 20 years graduating from Indiana University School of Optometry in 1992. Dr. Janis specializes in glasses, contact lenses, treatment of ocular diseases and also enjoys helping patients attain an improved lifestyle with refractive surgery. Dr. Hill has been providing quality vision care for over 20 years graduating from Indiana University School of Optometry. Dr. Hill specializes in glasses, contact lenses, treatment of ocular diseases and also enjoys helping patients attain an improved lifestyle with refractive surgery. 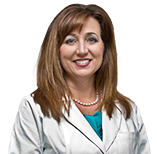 Dr. Nelson practices at Ossip-Teeple, serving the city of Anderson and it's surrounding communities. She is a fellow of the American Academy of Optometry and provides a full range of family eye care, including glasses, contact lenses, dry eye care, and the management of ocular disease. Welcome to The Eye Doctors, a modern full-service optometry practice serving patients from the greater Indianapolis, Zionsville and Carmel area. We specialize in treating all eye problems to produce the best possible vision for our patients. Dr. Harvey has been providing quality vision care for over 10 years graduating from Indiana University School of Optometry in 2002. Dr. Harvey specializes in glasses, contact lenses, treatment of ocular diseases and also enjoys helping patients attain an improved lifestyle with refractive surgery. 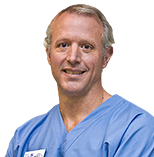 Dr. Ewers has been providing quality vision care for 17 years graduating from Indiana University in 1995. Dr. Ewers specializes in glasses, contact lenses, treatment of ocular diseases and also enjoys helping patients attain an improved lifestyle with refractive surgery. 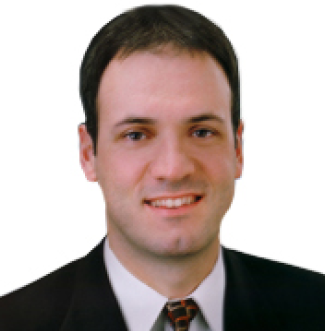 Dr. Hoffman has been providing quality vision care for 10 years graduating from Indiana University in 2002. Dr. Hoffman specializes in glasses, contact lenses, treatment of ocular diseases and also enjoys helping patients attain an improved lifestyle with refractive surgery. Dr. Avila has been providing quality vision care for 4 years graduating from Ohio State University College of Optometry in 2008. Dr. Avila specializes in glasses, contact lenses, treatment of ocular diseases and also enjoys helping patients attain an improved lifestyle with refractive surgery. Dr. Smith has been providing quality vision care for 6 years graduating from Indiana University in 2006. Dr. Smith specializes in glasses, contact lenses, treatment of ocular diseases and also enjoys helping patients attain an improved lifestyle with refractive surgery.